Imagine yourself living in the fantastic Phoenix village community of Ahwatukee. Phoenix without the big city feel. Surrounded by majestic desert mountains and sunsets in your own private resort. One of only 15 Villages designated by the City of Phoenix, Ahwatukee offers fine shops, boutiques and a variety of fabulous restaurants. Residents of this prosperous village seldom have to leave the area for anything. Ahwatukee boasts large department stores, abundant grocers, health food outlets, many specialty stores and entertainment options. Part of Ahwatukee’s appeal is it's the award winning educational system and boasts one of the top performing districts in the state with all 25 schools receiving “excelling” or “highly performing” ratings. 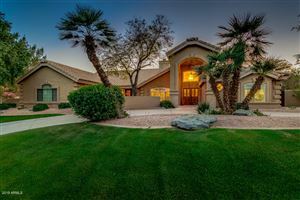 Here are just a few of the many fine homes offered for sale in the Phoenix village of Ahwatukee. Contact us and let us schedule a private tour for you.